TIP: We found Cup 4 Cup at our local Save On Foods. If you can’t find it, try this copy cat flour blend recipe from rural route lupiac. TIP: Expandex is difficult to get in Canada. We ordered it from www.qualifirst.com. TIP: Whey protein can help replace some of the gluten protein that’s missing in gf foods. You can purchase whey protein from any store that sells body building supplies. Be sure to purchase a brand that is unflavoured and not enhanced with vitamins and fibre which could affect your baking results. We use “100% Whey Protein,” distributed by The Winning Combination. We purchase it at London Drugs. In small bowl, start the yeast by mixing together the warm water and sugar, and adding the yeast. Set the yeast mixture aside for at least 5 minutes. While the yeast is starting, put the remaining ingredients in a bowl and whisk together well. After 5 minutes is up, add the yeast mixture to the dry ingredients and stir. The dough will be really wet and sticky – like a thick, sticky cake batter. Cover and either set on the counter to rise until double in height (at least 2 hours – longer is better for the flavour) or place in fridge overnight. When you are ready to bake your bread, heat the oven to 450 degrees. Place an ungreased Dutch oven or lidded casserole in the oven and heat for 30 minutes. While the pot is heating, place a sheet of parchment paper on the counter. Give it a light sprinkle with gluten free flour. Remove the dough from its bowl and place it onto the parchment. Shape into a discus shape. TIP: The dough will still be wet and sticky – especially if you let it rise on the counter. Use the parchment to help you shape the dough into a ball by lifting up on the corners and forcing the dough into the centre. Once the pot is hot, remove it from the oven and place the bread dough inside. TIP: You can cut the parchment roughly to size and place both the dough and the parchment in the pot. Cover with lid and bake for 30 minutes. After 30 minutes, remove the lid and turn the oven down to 350 degrees. Bake for another 20 minutes. Remove from the oven and set on a wire rack to cool. While still warm, rub the entire surface with a pat of cold butter. This will soften the crust and add give it a wonderful buttery flavour. TIP: This recipe makes a small loaf – about the size of 4 dinner buns. It can be doubled, but we recommend baking it in two pans. Making one large loaf alters the texture. 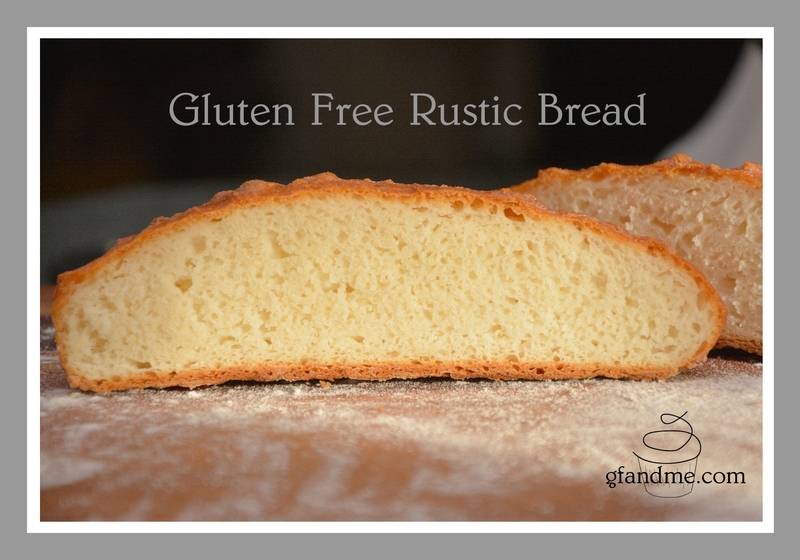 This entry was posted in Baking, Recipes and tagged artisan bread, celiac, coeliac, crusty bread, cup4cup, easy, GF, gluten free, gluten free in Red Deer, lean bread, recipe, rustic bread, vegetarian. Bookmark the permalink. That look delicious. 🙂 How did you like working with the expandex / whey dough? I really like it, but am still learning. The Gluten Free on a Shoestring bread book has been hugely helpful. Geoff is totally loving the results, too. I haven’t seen him each this much bread since his diagnosis! It does look good. I will have to try that. 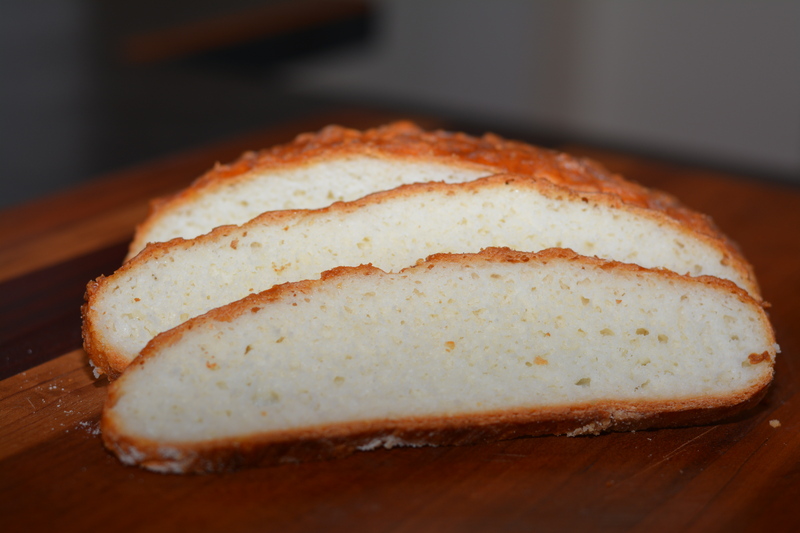 This looks like “real” bread….love the crusty look! Will be adding this to our “must try” list! Thanks so much! You’re so welcome! Hope you enjoy it as much as we do.